I was trying to run the quick start project today in the CRM 2011 SDK. As usual with CRM, nothing is easy, there is always that something that needs to be installed or tweaked etc. Now what initially threw me was the fact I had to put in CRM server and Port and then Domain and username. Sometimes when you put in these details you can get something slightly wrong, this could have course been a lot easier if I had a form to fill in and adjust it, rather than add in all the details and if you get it wrong you have to do it all again. After decided it wasn’t me typing in something wrong, I started looking for a reason, then I found the problem is I don’t have the Windows Identify Foundation Pack installed on my Windows 7 machine. To resolve this problem, I downloaded and installed the Windows Identity Foundation Pack. I am starting to get into the nitty gritty of programming using the SDK. When I tried to run through the Ribbon example in the SDK, it was a nightmare. Adding a button into CRM 2011 is a lot harder than the adding a button in CRM 4. The main reason for this is because of the Ribbon. Although the Ribbon is good because it provides context to all the screens, tabs etc it makes it very painful to add in buttons. It was difficult running through microsofts walkthroughs, now this to me says the using the ribbon is difficult if you struggle to understand a step by step walkthrough. One of the good things he mentions is Early Bound Entities. I hadn’t used this yet but I think it’s basically involves using code generation tool (CrmSvcUtil) to create classes that you can use to access business data in Microsoft CRM. In the bad he basically describes that working with CRM is not easy for developers. There are lots of xml files to be edited manually and not many tools to help you get this right. Deploying CRM code is tricky and can often lead to mistakes. It would be a big help if Microsoft created some kind of installing software to help automate the process to make sure we didn’t miss anything out and didn’t accidently change some of the settings. 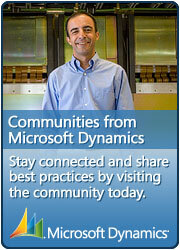 I wish I could say there’s nothing truly ugly about CRM 2011, but that would be a lie. There is one new component who’s implementation from a development perspective is so painfully clunky, that uglyness just scratches the surface. The Ribbon. Don’t get me wrong, I love how the ribbon enhances the end user UI experienceand brings CRM inline with all of Microsoft’s new products. And I love how the new ribbon offers alot of flexibility in terms of when and how things display. But implementing changes to the ribbon is far more painful than it should be. First off, the xml schema for the ribbon is fairly complex, and the SDK doesn’t do a good job explaining how all the parts play together. I actually plan to give a brief internal presentation for the developers who haven’t worked with it yet, just so they don’t have to spend so much time trying to parse through the samples Microsoft provides to understand it. This complexity in itself wouldn’t be bad. In fact it’s because of that complexity that the ribbon is so flexible. But the problem is that it means that there are at least 5 actions you have to take in order to implement any change, even just adding a single button. There’s no quick shortcutting and it’s easy to forget and leave something off. Which brings me to the main problem. When you have something that’s complex and easy to mess up, easy debugging is crucial. But the process of editing, and then deploying the ribbon is almost unconscionably painful. To start, you have to export your entire solution. Either that or create a separate solution just for the entities whose ribbon your changing and export that. You have to unzip the solution, edit customizations.xml directly, rezip everything, import back into CRM, and publish. In my experience, each change takes 2-3 minutes to deploy. Not quick debugging at all. What’s even more problematic from a change management perspective, is that your ribbon is lumped in with other entity customizations. If you edit the ribbon while I’m adding or changing attributes, you may overwrite what I am doing. I did a little research to see if it might be possible to develop a standalone ribbon management tool, kind of like the plugin registration tool provided by Microsoft, but it appears that’s not supported. The entities that hold ribbon customizations (RibbonDiff, RibbonRule, RibbonCustomization, RibbonCommand) are almost all noted as “for internal use only” in the sdk. I can only hope that means Microsoft is planning to create some sort of internal tool to ease the pain here.